Some racing teams are funded and managed directly by manufacturers but most are complex partnerships of smaller companies that morph opportunistically from season to season. Some of the most successful teams in the paddock have grown up around individuals and families whose business and the racing effort are one and the same. 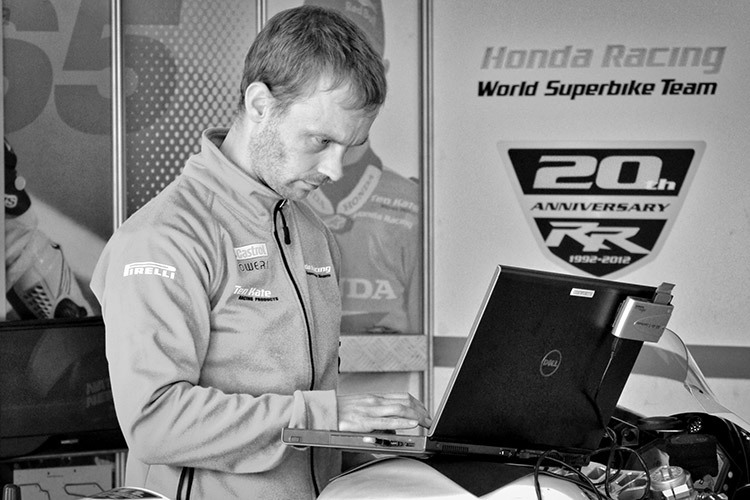 Ten Kate Racing is one of these, a family-run team responsible for campaigning the official Honda WSBK Team. UPDATE: At the end of 2018 Honda and ten Kate parted ways - a loss for Honda as ten Kate will undoubtedly be highly competitive campaigning a Yamaha in 2019. 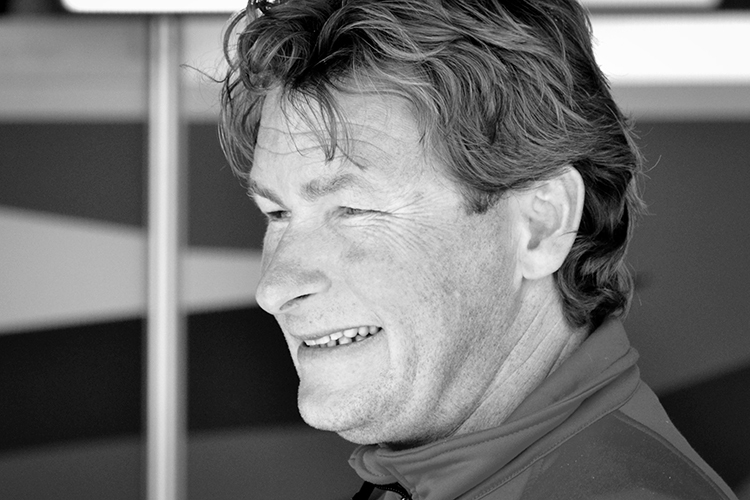 Ronald ten Kate manages the race team he and his cousin and co-owner, Gerrit ten Kate, began in the early ‘1990s. Both are former motocross racers, developed a tuning shop, then a successful motorcycle dealership and specialty racing parts business - Ten Kate Racing Products in Nieuwleusen, the Netherlands. Few teams have ever achieved the early success of ten Kate Racing. In 2001 ten Kate Racing moved from the Dutch national roadracing series to compete in the Supersport class of the Superbike FIM World Championship series. Beginning the next season, 2002, ten Kate Racing riders won six WSS Riders’ championships in a row on Honda CBR600RRs. Ronald ten Kate engages in one of the most important duties of team owner and manager: product development and marketing for sponsoring suppliers. 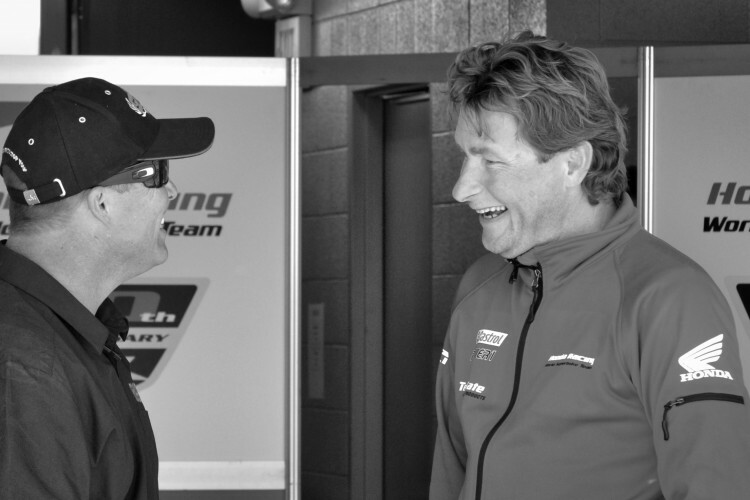 Here, at a USA round in 2012, he greets Danny Walker, a representative of Denmark-based brake systems supplier SBS Friction. (Walker will himself become a partner and team manager of the Roadrace Factory Team in the US MotoAmerica Racing Series that launched in 2015). The outcome of relentless work by a disciplined and highly-skilled team, managed by passionate and dedicated individuals steeped in racing: 10 Rider Championships in 15 years of racing in the WSBK series. 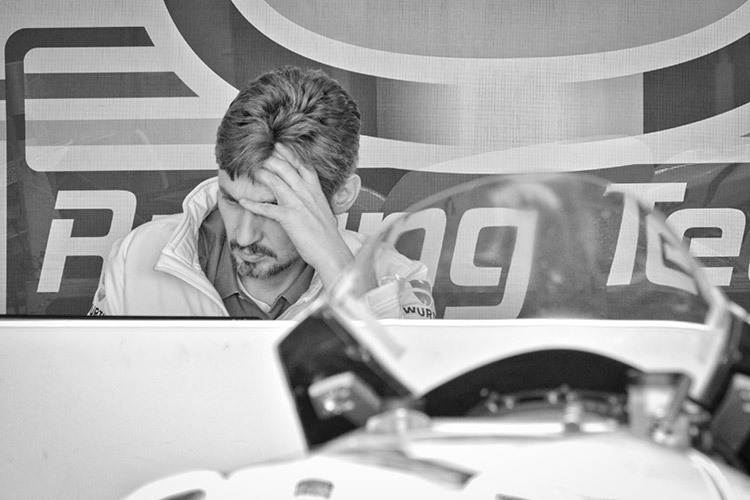 In 2004 ten Kate Racing added a two-rider team to the Superbike World Championship series, winning the Riders’ championship in 2007. 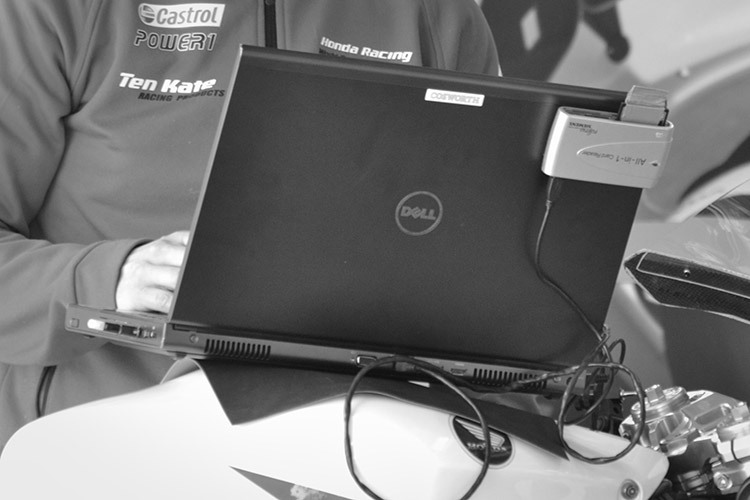 The competitive nature of ten Kate Racing reflects the team’s origins as a tuning shop. The CBR1000RR introduced in the fall of 2007 was Honda's last major engineering redesign of that motorcycle. As late as 2014 Jonathan Rea was winning races (four) and finished 3rd in the 2014 WSBK championship with a bike designed seven years before (two lifetimes in racing-machine years).